Stay posted via email for your invite to our next sessions. ETR Sessions is a highly curated live music event showcasing the next big artists from your city. The ETR Sessions team is constantly on the look out for amazing artists everywhere we go. Once a month we bring three of our favorite acts to our pop-up studio at Minna Gallery to put on an intimate concert and record each of their 45 minute sets for your viewing pleasure afterwords. Join us for an evening of the best live music your city has to offer. Check out some of our past sessions below. Big thanks to our hosts Minna Gallery in San Francisco for making this possible. Inspired by artists like Van Morrison and Mason Jennings, Symes creates an electric blend of acoustic and indie-folk ballads packed with lyrics that can take one away to a simmering fireside. 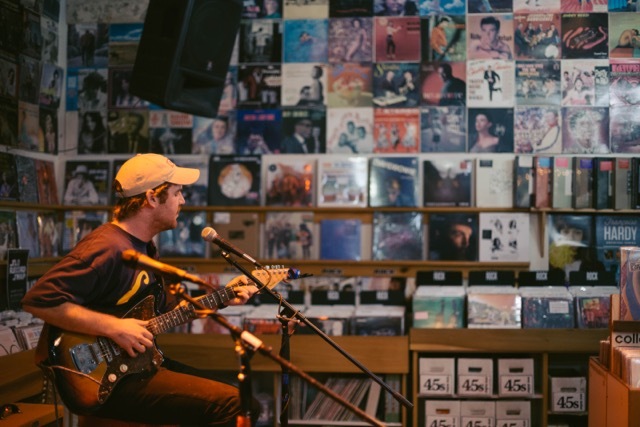 A singer and songwriter from Los Angeles, Jack Symes relocated up to Berkeley five years ago and has been dipping into the Bay Area folk scene since. During his college years in Berkeley, he spent his summers working in the Sierra Nevadas where he was able to dedicate time to maturing his musicianship, unearthing a deeper love and appreciation for music while further evolving his sound. Erik is a local SF singer-songwriter, creating a genuine message of relatability and honesty through powerful folk lyrics and melodic acoustic guitar. Brett Hunter has been writing soulful tunes for the better part of a decade, and his latest project - The Brett Hunter Band - hit the road for their first tour in January. The band features Brett's distinct songwriting with an eclectic groove that captivates audiences and gets everyone dancing. 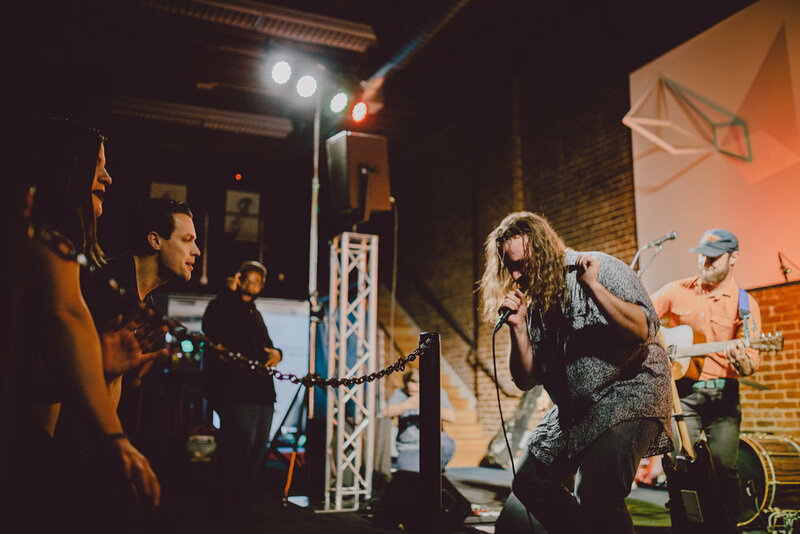 Recognized as one of the hottest up and coming bands out of Southern California, The Jacks are reinvigorating rock n’ roll with irresistible melodies, heart-pounding guitars, and electrifying live shows. The Jacks pride themselves on taking the vintage sound of the 60s and 70s and combining it with modern hooks to deliver fresh but timeless music. 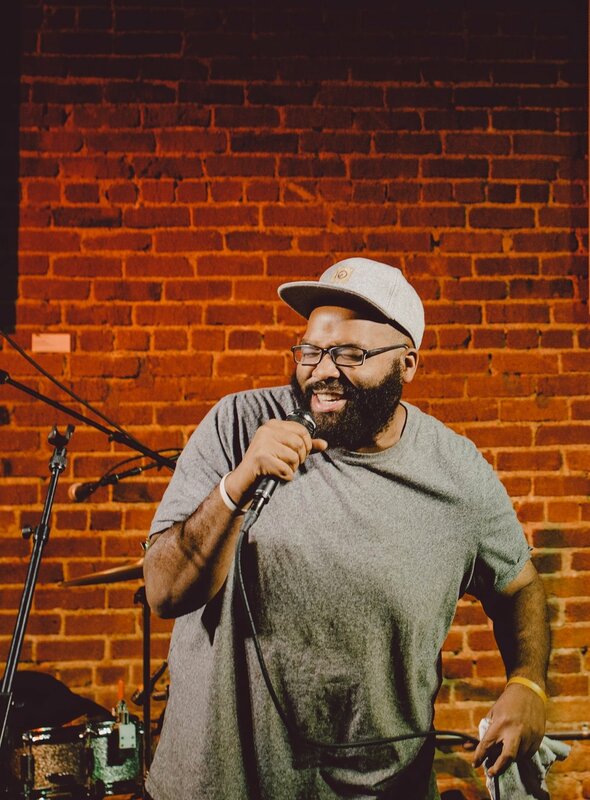 M. the Heir Apparent is a Berkeley, California-based singer/songwriter who has had the privilege of sharing the stage with artists as dynamic and diverse as Jon Bellion, Cody Simpson, Tennis, Matt Pond PA, Laura Gibson, David Ryan Harris, John Craigie, and many, many more. His debut EP, "Be Free," was released Christmas Day 2016 and is available to stream and download in digital stores everywhere. Leapah started as an electronic music side project for Gavin Leeper, guitarist from Paper Void. Leapah’s productions mix elements from downtempo, footwork, and old school jungle. The project has recently developed a live side which delves into jazz, math rock, and even some progressive metal. Harmonic and rhythmic experimentation from these influences in technical music are a constant undercurrent of Leapah’s composition. Evan Lanam & the Live Oaks is a rock & roll music collective consisting of over 12 members. Throughout the last 7-8 years, Evan has been writing, recording and playing locally in a few different San Francisco Bay Area music scenes in various kinds of bands, as primarily a drummer/vocalist. So, as the saying goes, "drummers write", this rings particularly true with Evan. After a few un-released demos, and a lot of shows (75+), Evan found his voice as a songwriter and a band leader. He is now a regular at venues like Brick & Mortar, Amnesia, and the Chapel in SF, and has played even larger venues like Great American Music Hall and Slims. We strive to turn back time - to a time where waves of people would gather in front of the nearest radio to get down. So sit back, relax & vibe with the elements that make us NU! Shout out to our host COVO! Thank you to COVO for being our San Francisco home and host. On top of the amazing space with exposed bricks, tall ceilings, and a magnificent skylight. They have a drink list to die for. They have three local wines on draft and nine beers on draft at any given time with names such as Bear Republic, Lagunitas, Sonoma Brewing Co, Sudwerk, Lost Coast etc. Our top of the line D&B sound set-up is brought to you by Erickson Sound Production and we are in for a serious treat because these bands are always mixed to perfection. Christine Donaldson grew up playing music in San Francisco, CA where she acquired an array of training in different genres. Her passion for singing motivated her focus on guitar accompaniment, and her love of jazz music paved the way for musical academia and a spot in the SFJAZZ High School All-Star Band. With years of experience gigging with jazz, bluegrass, and soul bands, Christine went on to study jazz performance and music industry at the University of Southern California. She split up her time in Los Angeles by skiing competitively and spending winters at Mammoth Mountain, CA where she wrote original music inspired by the mountains. Now graduated with practiced skills in performance, songwriting, arranging, and sound engineering, Christine is confidently following her dream of writing and releasing original music. Mix the spirited soulfulness of Musiq with the laid-back island vibes of Jack Johnson, and the lyrical rap precision of J. Cole, then add a dash of indie rock from the likes of Cold War Kids and the Black Keys and you have something of the pallet from which The Brothers Prince create their sound. Richard Love and Marcus Leemann -- two misfits in a small Texan town, one full of emotion, the other excitement, formed a friendship over a similar ear for melody. Love & The Zealous plays a hybrid of southern flavored soul music with elements of classic rock and pop. Their music with elements of classic rock and pop. Their musical roots evolved from the artists their parents enjoyed: Otis Redding, Marvin Gaye, Al Green, The Allman Brothers, and Lynyrd Skynyrd, to name a few, The Grateful Web describes the Love & The Zealous experience thusly: "the un-matched raspy/soulful voice of Richard Love completes the ambiance of the group and leaves the band's sound coursing through your veins long after experiencing it." Madeline Kenney is an Oakland-dwelling Seattle transplant, who makes twang-hazy pop. 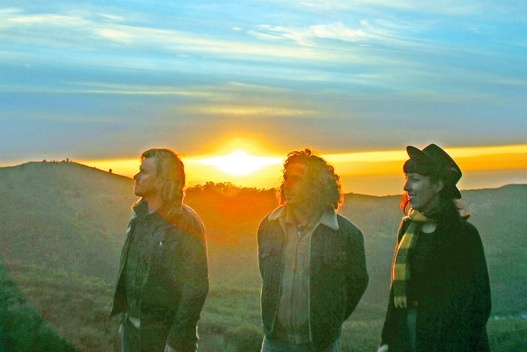 California based Brother Grand blends Psychedelic-Folk Rock with a twist of Film-score Soul. With an emphasis on engaging live performances, Brother Grand pushes the limits without breaking the ties. 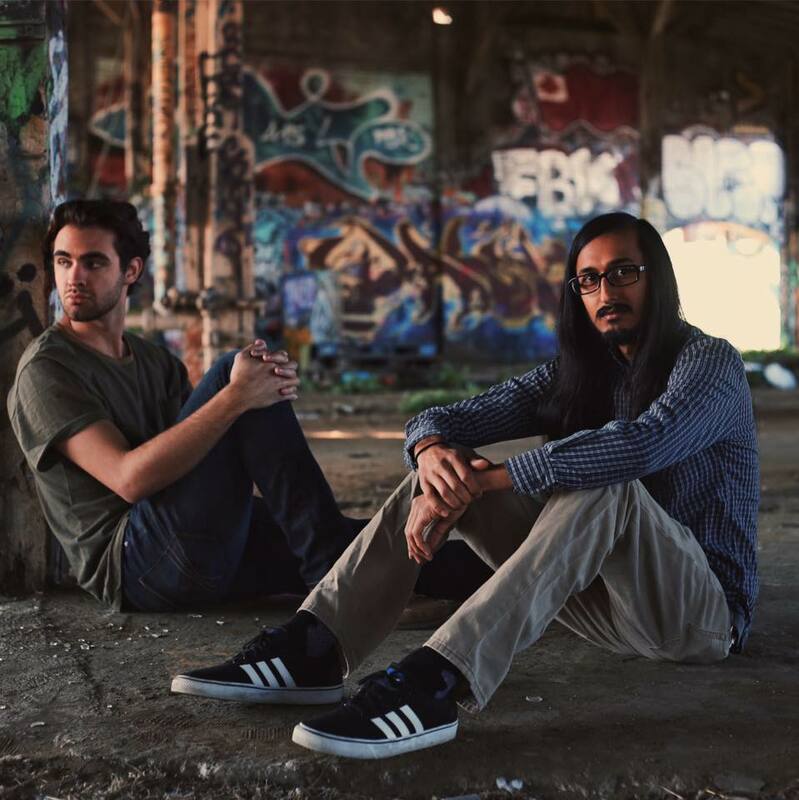 Not just a mere duo, Brother Grand expounds their message through the use of live looping, a rhodes piano, chaotic string textures, thunderous drumming, and heartfelt vocal harmonies. Whether stripped down to acoustic guitar & upright bass, or surfing an electric wall of sound, Brother Grand always delivers with passion, honesty, and presence. San Francisco singer-songwriter creating a genuine message of relatability and honesty through powerful folk lyrics and melodic acoustic guitar. Elena Lambertson is a singer/songwriter from Santa Cruz, currently residing in San Francisco. Her indie folk, country, and blues-inspired sound showcases her lyrically introspective songs, reminiscent of the 1960's Laurel Canyon music scene. Her largest musical inspirations include the likes of Jackson Browne, Bonnie Raitt and Joni Mitchell.